I am so pissed about this – Hot water is hot water, in my opinion if you carelessly burn yourself, then you deserve it. The anti-scald device is a very good product for elderly and disabled, yes I agree. But it should be an optional add-on, not mandatory for all houses. This is why sometimes I have problem with SOME building codes, this is one of them. How about making it part of building code to add grab bars in all showers? What about banning the use of gas stoves? So stupid. 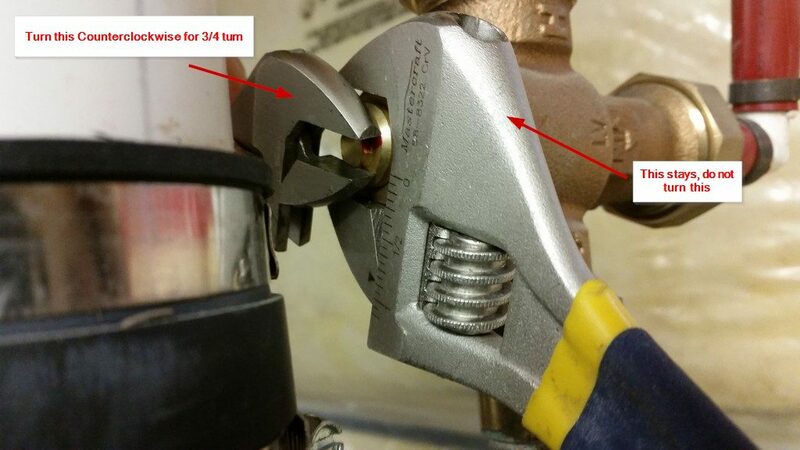 You need 140F+ to kill Legionella and you need to keep your hot water tank at this temperature 24/7. 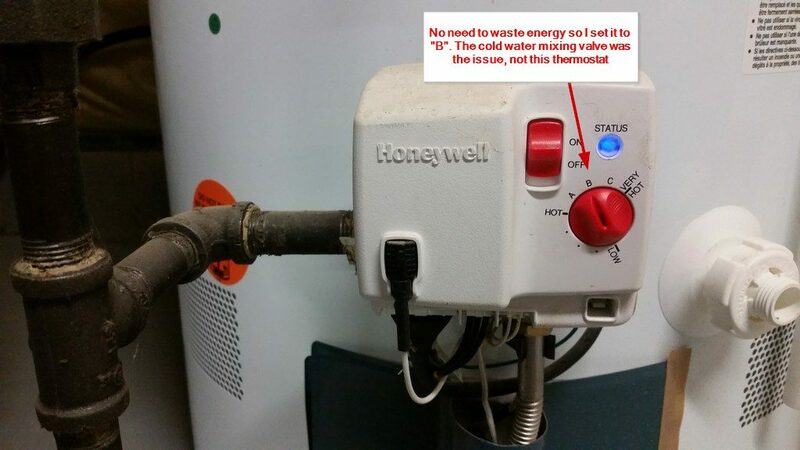 If people are stupid enough to lower the temperature less than 140F on their water tank, they deserve to get Legionella. The water tank manufacturers should not let consumers adjust the temperature in the first place. Why not have a red color big font warning label stick it on the tank educating consumers not to touch the thermostat? Isn’t it better than adding a stupid mixing valve? If you think about it carefully behind the scene, it is possible that there is an interesting relationship between the people who change the building code and the manufacturers, I have been working for the government agencies of Ontario and I have witnessed enough of the dark side and scandal. It is not new that politicians or top executives use the power to make new rules that benefit their family members and friends. Similar to electrical code, I still don’t understand why Romex NM-B 14/2 600V rated with paper and thinner plastic insulation (U.S NEC approved) is more dangerous to use in a dry condition in Toronto. Vice versa, why is Romex NMD90 14/2 300V rated with thicker plastic insulation (Canada CEC/CSA approved) is more dangerous to use in New York where I picked a similar weather zone. I need a scientific lab proof to get me convinced. How does Anti-Scald Mixing Valves works? Getting back to the technical side, how it works? 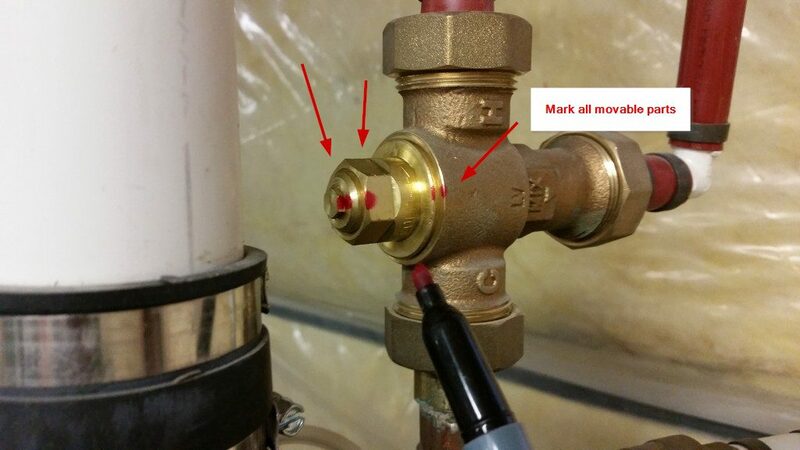 Okay, the device is put at the output of your hot water tank in basement, it mixes with cold water base on the valve setting regardless of how hot the water is. 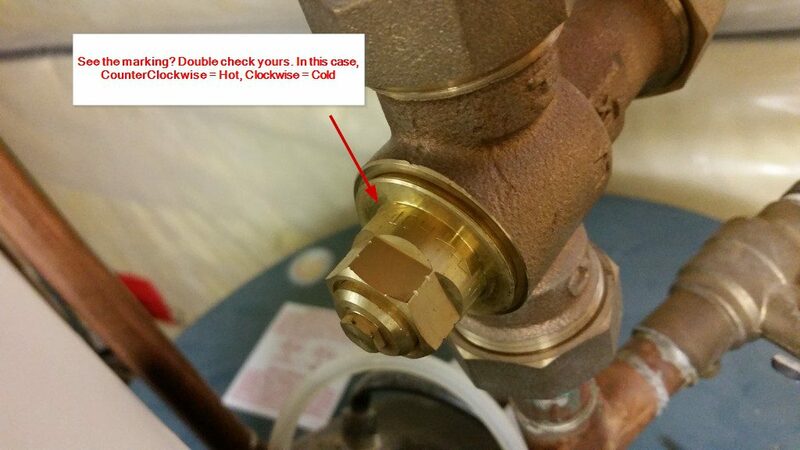 Therefore if you set your water heater thermostat to be very hot (say 160F), it would not make a difference at all. 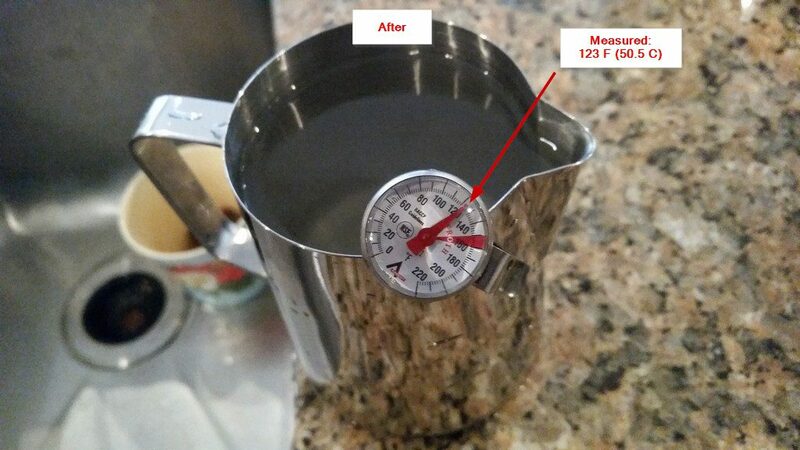 The end result would still be around 110-115F when it comes out of the tap. 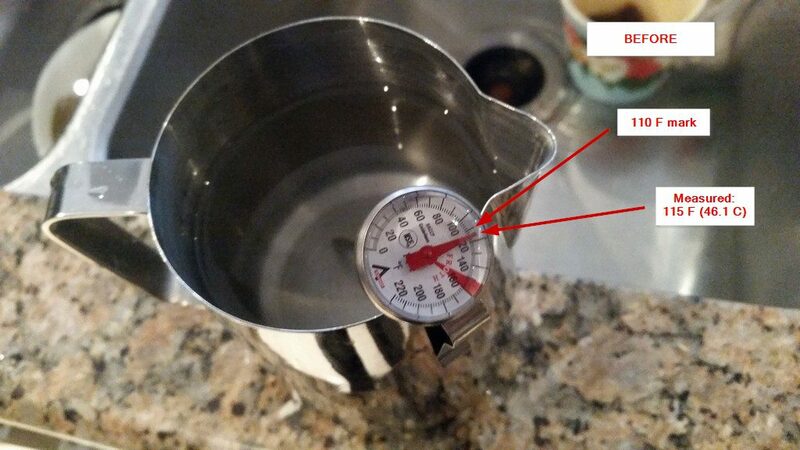 How to adjust the value to have hotter water? 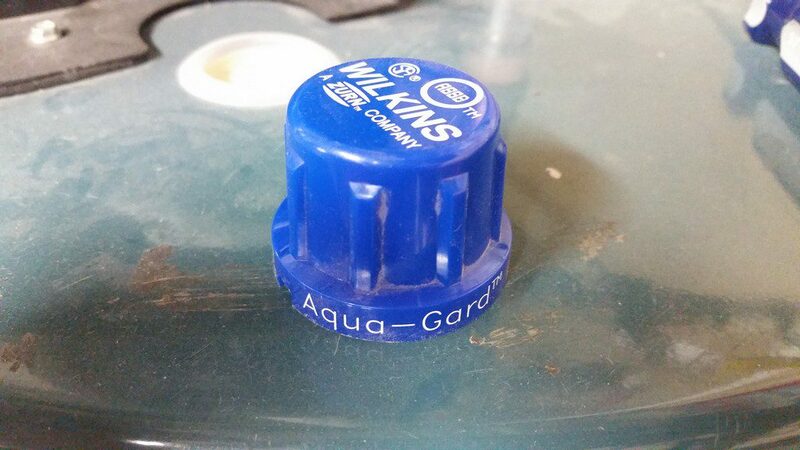 In our house, it is called Aqua-Gard from WILKINS, a ZURN company, but other brands/models are pretty much similar. Just use your common sense, all you have to do is to make sure you turn the right one. If not, hot water splash onto you face isn’t fun. Good luck. After the adjustment (3/4 turn countercockwise), the temperature difference was about 8 F (4.4 C) and this was a significant difference. I set the water tank thermostat to “B” (medium 140F), according to the information “Hot”=120F, “A”=130F, “B”=140F, “C”=150F, “Very Hot”=160F. Hope this helps. 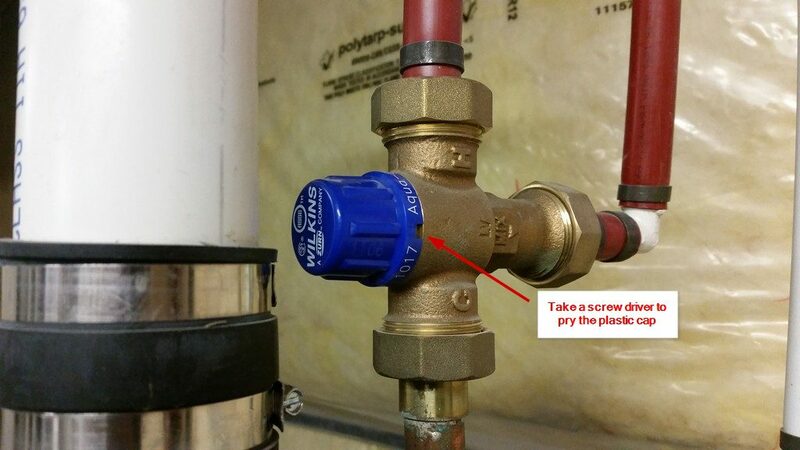 2019 Update – I made a video to show you how to bypass the Thermostatic / Anti Scald mixing valve. 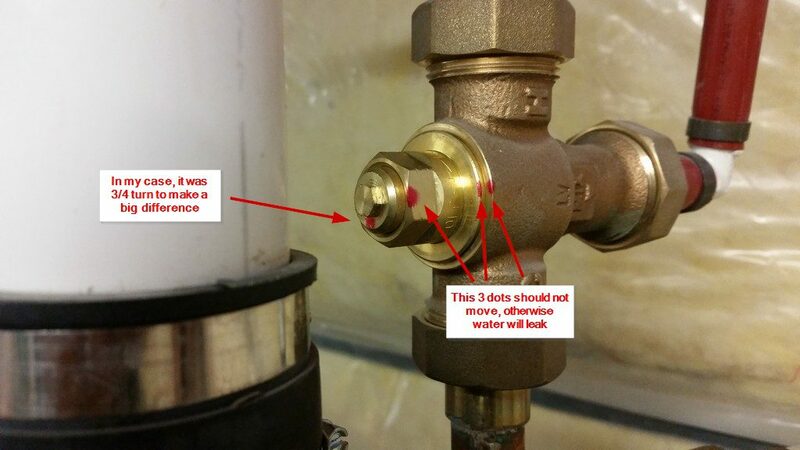 If you don’t have hot water at all, don’t call plumber before watching this! Didn’t work for the WATTS version. Different mechanism so not sure is same adjustment. When I went to adjust my TMV whomever installed it had ruined the adjustment screw and a wrench would not work on it. I tried vise grips but it would not move. Any suggestions? Thanks! solved our cold baths issue!